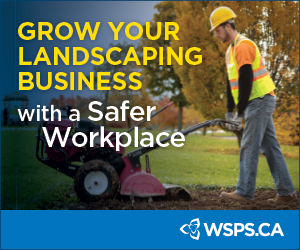 Landscape Ontario’s Snow and Ice Sector group will host Snowposium 2018 on Sept. 25 in Brampton, Ont. 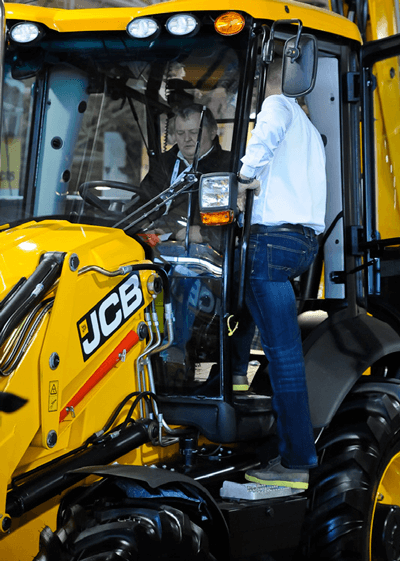 Geared towards snow and ice removal contractors and municipal snow and ice managers, the event will provide targeted learning opportunities, and the chance to check out the latest equipment and technologies in a trade show setting. Full details are available at snowposium.ca. Register before Sept. 14 for early bird pricing; registration includes lunch. Recognizing the very best of the best in the horticultural industry, the 10th International Association of Horticultural Producers (AIPH) International Grower of the Year (IGOTY) Awards 2019 is open for entries. The winner will be announced on Jan. 22, 2019, at the IPM fairground in Essen, Germany, alongside IPM Essen 2019.The awards recognize best practices in horticultural production by the top ornamental production nurseries from around the globe. The deadline to submit entry forms is July 13; to enter, visit aiph.org/groweroftheyear. During the Award’s 10-year history, Canadian growers have been prominent among both nominees and winners. Trevor Cole of Kinburn, Ont., passed away peacefully on New Year’s Eve at the age of 83. Cole worked at Ottawa’s Central Experimental Farm from the time he immigrated to Canada in 1967, through to his retirement as the last Curator of the Dominion Arboretum in 1995. He was recognized internationally for his work in horticulture and garden writing. He wrote the Canadian bestseller “The Ontario Gardener” and edited many gardening books for publishers including Reader’s Digest and Dorling Kindersley. Doosan Bobcat North America announced that its Acceleration Center, an engineering facility for all Bobcat compact equipment, is now Leadership in Energy and Environmental Design (LEED) certified. Located in Bismarck, N.D., the Acceleration Center is currently one of only a few test lab facilities of its kind in North America to achieve LEED certification — the most widely used green building rating system in the world and a globally recognized symbol of sustainability. After five years of intensive development, the Green Infrastructure Foundation (GIF) announced the release of the Living Architecture Performance Tool (LAPT) v.1. The LAPT is a rating system and best-practice guide with a goal of certifying that green roofs and walls are planned to achieve measurable and replicable performance benefits. Performance benchmarks will increase the efficacy of living infrastructure and bolster industry-wide credibility, the organization states. Designers, building owners, and maintenance professionals can use the LAPT to optimize the benefits possible from their projects, while policy makers can maximize public benefits and create effective policies for living architecture. Find out more at greeninfrastructure.org/lapt. The Toronto-based foundation is affiliated with Green Roofs for Healthy Cities. The National Garden Bureau announced the 2018 Summer Vegetable Trials will run August 13-18, 2018. 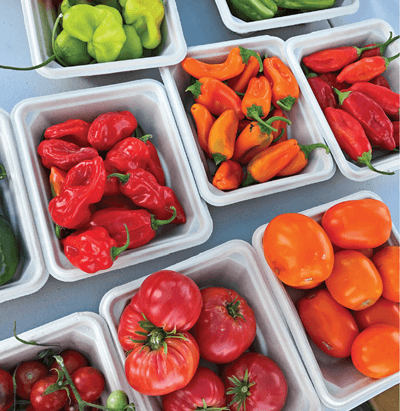 Six vegetable breeding companies dealing in the fresh market and home garden segments will host open houses and field days. Participants include Bejo Seeds, Oceano, Calif.; PanAmerican Seed, Woodland, Calif.; Sakata Seed America, Salinas, Calif. and Woodland, Calif.; Seeds By Design/Terra Organics, Maxwell, Calif. and Willows, Calif.; Seminis/Monsanto Home Garden, Woodland, Calif.; and Syngenta, Gilroy, Calif. For more information, visit vegetabletrials.co. All-America Selections, in an effort to provide support to independent garden centre retailers, now has a Point-of-Purchase kit available free of charge to the first 100 requesting retailers. The kit includes an informational poster about AAS Winners, two bench cards and 100 generic AAS Winner tags, all created by MasterTag. Visit all-americaselections.org for details. The Illinios-based National Garden Bureau and its corporate sponsors are accepting applications for $5,000 in grant money to be split among three therapeutic gardens in North America. The Bureau promotes the health and healing powers of human interaction with plants through a yearly grant program for therapeutic gardens. Visit ngb.org to view the full criteria and to submit an application form. The deadline is July 1, 2018.